Serious medical issues can arise when a patient takes the wrong prescribed medication. Doctors prescribe drugs to ensure that the patient receives the benefits of its intended effects. However, receiving the wrong medicine can place the young patient’s health, well-being and future at risk. Unfortunately, medication mistakes are prevalent issues that can occur when dispensed at the drugstore, urgent care center or hospital. Whenever a medicine is prescribed or dispensed, it is essential that healthcare professionals take specific steps to ensure it is the right type of drug at the correct dosage. Many prescription errors occur in pharmacies, hospitals and medical facilities. Because these corporations are profit-making companies, they often take cost-cutting measures to increase profits to stay in business. Maintaining profitability usually requires reducing the number of staff working during each shift, which can cause the pharmacy workforce to become overworked, fatigued and more likely to create mistakes. In many situations, the medical team or pharmacist is overworked or understaffed, which leads to prescribing or dispensing the wrong medications. Other times, the error can be caused by a lack of communication between doctors, nurses or pharmacy staff through verbal miscommunication or illegible handwriting. In some situations, the young child is prescribed the wrong medication when the drug is delivered through a malfunctioning automated system. Many children suffer serious complications when prescribed the wrong drug. 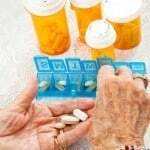 In some cases, prescription errors occur when the prescribed medication is confused with drugs that sound similar or appear similar in shape, size and color. Many prescription errors are not detected until the patient experiences an adverse reaction to the medication. Not every injury caused by taking a wrong prescription drug is life threatening. However, taking the wrong drug can cause serious, albeit temporary, symptoms including headaches, vomiting, sleeplessness, diarrhea, nausea or a combination of two or more of these symptoms. In many scenarios, the child prescribed or dispensed a wrong drug will suffer impairment, physical injury, diminished quality of their daily life and a dramatic shift in their ability to live normally in the future. In addition, the families are often stuck with extensive medical bills, lost wages from time away from work to care for their ailing child along with pain and suffering. By filing a wrong medication lawyer, the family can seek compensation to cover their damages. If you believe your child is suffering major or minor injuries caused by taking the wrong medication, you likely many facing many unknown consequences in the years ahead. Because of that, it is essential to seek financial compensation through a personal injury attorney who specializes in pharmacy error drug cases. Rosenfeld Injury Lawyers LLC can assist you in obtaining recompense and hold those pharmacies responsible accountable for their neglect. Filing a claim or lawsuit now is important, even if the injuries caused by taking the wrong medication are temporary.